Owing to the increasing number of mobile e-commerce applications using WAP technology, intelligent agent-based systems becoming a new trend of development in the new millennium. Traditional web-based agent systems suffer various degrees of deficiency in terms of the provision of ’intelligent’ software interfaces and light-weighted coding to be implemented in WAP devices. 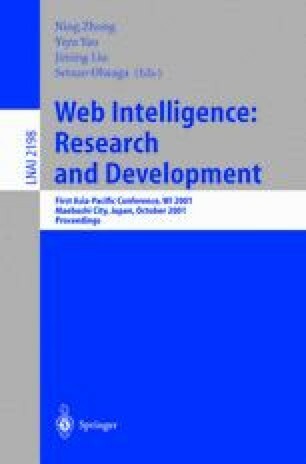 In this paper, we propose a comprehensive and intelligent-agent platform known as iJADE (intelligent Java Agent Development Environment) for the development of smart (via the implementation of ’Conscious Layer’), compact and highly mobile agent applications. From the implementation point of view, we introduce the iJADE IWShopper - an intelligent mobile web shopping system using fuzzy-neuro agent technology - the integration of WAP and Java Servlets technology with our iJADE APIs. Promising results in terms of agent mobility, fuzzy-neural shopping efficiency and effectiveness are obtained.